Retire to Cuenca, Ecuador...At 8200 feet the climate is mild year round. It sits on the Equator...the beaches are just as hot as you would expect at that latitude...or more correctly a lack of latitude. It was rated the top city to retire in for 2009 by a major magazine, it is still high on ex-pats radar. Why? 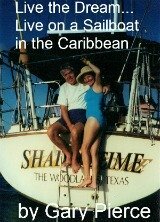 Ecuador itself is mostly undiscovered as a retirement destination for US retirees. This will not last long. In Cuenca, a city of 450,000 people only 700 are expats...so this is still a ground floor opportunity for savvy retirees. Cuenca has been designated a World Heritage Trust site by UNESCO due to its historical buildings. It also has 12,000 university students giving it a young, vibrant feel. The cost of living is very low in Ecuador...you can live well for $1,000 a month...really well for $2,000 a month. Real estate is so cheap that two homes, one here and one on the beach is within the reach of many US retirees. Want to rent first, always prudent, a furnished 2 bedroom apartment averages $350 a month. Convinced this is a inexpensive place to live? 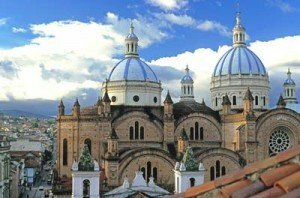 Living in Ecuador, makes sense for many...retire in Cuenca, Ecuador and retire to a city with few equals.